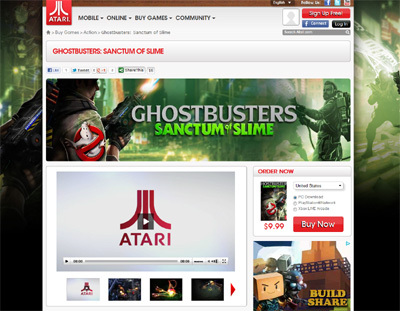 Ghostbusters Sanctum of Slime sees the world famous movie franchise return to the gaming world and Atari have done a fantastic job with their creation. The game is very smooth running due to the much improved game play engine and also has some of the most detailed graphics of any game within the series. We have also compiled a Review System for this, of which Ghostbusters Sanctum of Slime is Rated as Four Stars, the second highest possible score available from the Game Review Team.